Forerunner segments its portfolio into Connected Brands, Marketplaces, Mobile Experiences, Retail and Tools/Technologies. She soon concluded that online commerce would underpin the next generation of important retail brands, but that consumers would not rely on just one way to shop. With the rise of Amazon and other online retailers, Ms. Green saw more bankruptcy filings from traditional retailers, as well as news of store closings and reports of market share shifts. But she also saw stores do well when companies could make an emotional connection with shoppers and better analyze their behavior. We seek to partner with ambitious entrepreneurs that are disrupting the commerce landscape from every angle. WE ARE ACTIVE INVESTORS, leading or co-leading investment rounds. WE MAKE EARLY STAGE INITIAL INVESTMENTS in companies typically post launch. WE ARE LOOKING FOR companies that are tackling big markets, bringing something new to the table, and executing scalable business models. BEYOND THAT WE SEEK a service proposition that enables a Company to stand out, unfair marketing advantages, and visionary, disciplined, magnetic founder(s). After Ms. Green invested in Jet.com in 2014, she chatted with Jet’s executives almost weekly about matters including strategy and potential acquisitions, said Katie Finnegan, who was the online retailer’s head of corporate development. Ms. Finnegan said Jet still consults with Ms. Green even after the company’s sale to Walmart. Katie ​Finnegan is now one of two people leading Walmart’s new “Store No. 8” incubator. 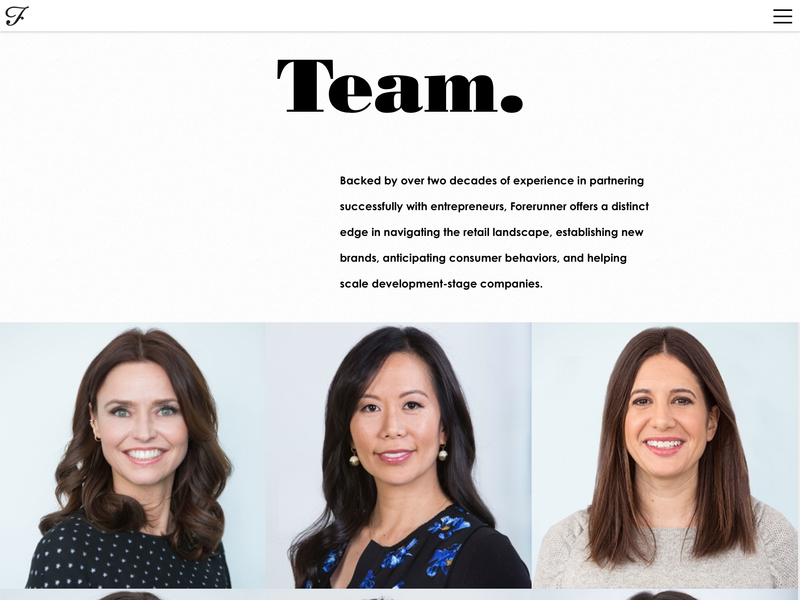 Green is serving on more than 10 company boards now, among those Glossier and Bonobos. She has also had her share of flops. Threadflip, an online consignment store in which she had invested, shut down last year and became part of Le Tote, a service that lets users rent clothing. Definitely someone to follow and keep an eye on. You can find Kirsten Green on Twitter here and on LinkedIn here. U.S. Ecommerce After Jet.com and Dollar Shave Club: VC Is Back in Town?